Ford is a well regarded auto brand known for its many cars, trucks and SUVs that “go further” at a reasonable price. Indeed, when it comes to Ford car shipping, we suggest working with a company that mirrors their values and goes further to ensure the best possible car shipping experience. 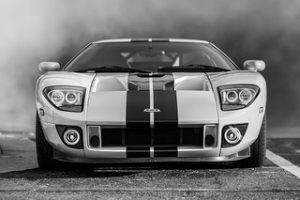 Read on for useful tips regarding how to ship your Ford, cost and why Ford owners and dealerships nationwide choose us. Of course, if you’re ready to move your Ford today, request a free customized car shipping quote. Or, give us a call at 1 (888) 886-3456 today. Shipping your Ford should be a seamless experience. The first step to a positive Ford car shipping experience is to do your research online. Avoid selecting a transporter solely based on lowest cost. In fact, with many companies in the auto transport industry, the lowest price can lead to unwanted delays and stress. In reality, the cost to ship a Ford depends on factors like the time of year, location and type of shipping. Rather than focusing on cost, we recommend evaluating Ford car shipping companies on the greatest likelihood of a safe, on-time pickup and delivery. The best Ford auto transporter has a flawless five star reputation among customers. They are a well-established car shipping company, fully licensed and insured. The transporter shares Ford’s focus on quality and dependability. In other words, your car shipping company goes further for you. With over 30 years of trust and reliability, we will make every Ford auto transport move easy for you. Fisher Shipping has been the easiest and most consistent transporter I’ve ever used. Whether it’s moving a truck 500 or 1,000 miles I know that it will ship quickly and affordably. My ’67 Mustang was picked up in North Carolina and delivered to Atlanta in one day, right on schedule. Everything went perfectly and just as Matt told me that it would. The driver was extremely professional. This was an exceptionally positive experience. Thank you for the great service! We have utilized the services of Fisher Shipping multiple times to transport vehicles to and from our location in Florida. They have consistently provided excellent and timely service at reasonable prices. We can always rely on the pickup and delivery information they give us to be accurate. Fisher Shipping is our shipper of choice. I used Fisher Shipping to move my 1988 Mustang that I bought online from New Castle, DE to Long Island. I was told by Mike at Fisher Shipping that it would take about 5 days to get my car to me. I was told 2 days later that it was still not picked up from the dealership and that it might take an extra day than expected. I got a voicemail from Mike at Fisher shipping a day later telling me my car was to be delivered a day earlier than I originally expected. Sure enough, I got a call from the trucker the next day and got my car early. I would use these guys again because they delivered my car a day early and kept me in the loop the whole time. Enclosed vehicle transport available: If you own a classic car like a 1960s Ford Mustang, you may want to choose covered or enclosed auto transport.